It seems that HTC is on a roll and is coming up with many devices. We have seen the leaked pictures and details of many devices from them recently and a launch of a few. 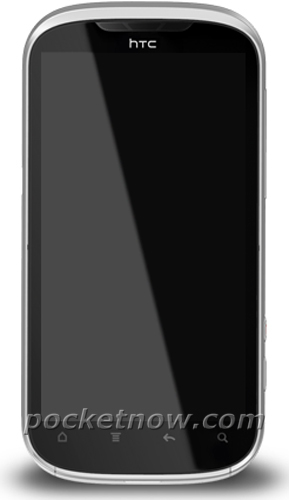 And now we have the HTC Ruby in a leaked press shot which, when releases internationally and also on T-Mobile 4G, may be launched under the name of HTC Amaze. HTC Ruby will feature a 1.5 GHz processor with 1 GB RAM. It has a 4.3 inch qHD display. It’ll have a 8MP rear camera with dual LED flash, a 2 MP front-facing camera and internal memory of 16 GB. It’ll run on Android Gingerbread 2.3 and have the HTC Sense 3.5 user interface.